"The Corner" lounge and fountain was on the SW corner of Last Chance Gulch and Lawrence, where Wells Fargo is today. 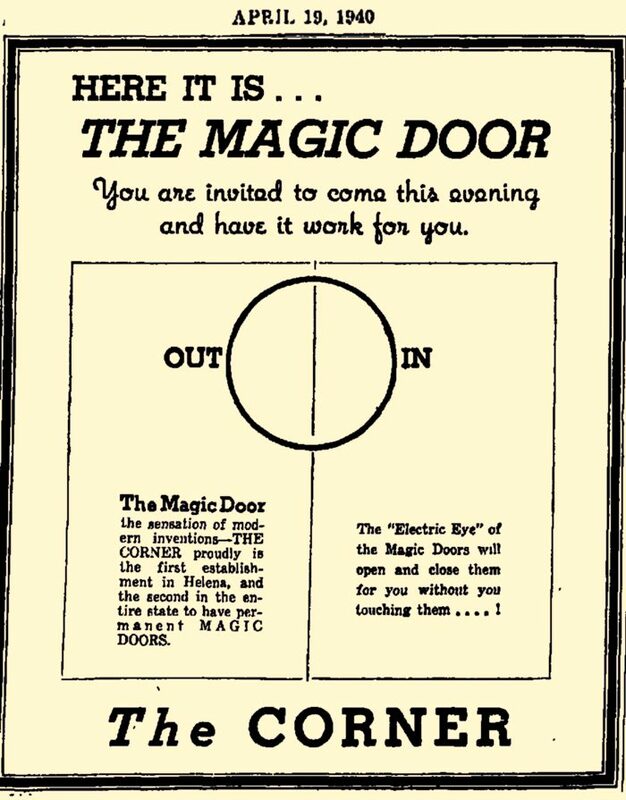 The "Magic Doors" were early self-opening electric-eye models. Installed in 1940, they were the first in Helena. Buttrey's Super Market in the Hustad Center featured self-opening doors in 1956.